A lottery grant will enable a major project to go ahead to protect a unique part of a national park landscape. The Heritage Lottery Fund announced a £2.8m boost to the scheme to study and preserve the legacy of 19th century ironstone exploitation in the North York Moors national park. The project, This Exploited Land, will tell the story about the importance of the pioneering ironstone and railway heritage of an area from Grosmont, through Eskdale to Kildale and then on through Rosedale to Rosedale Abbey, which is being eroded over time. It will also encourage rare wildlife, ancient woodlands, wild daffodils and the special species of the River Esk. 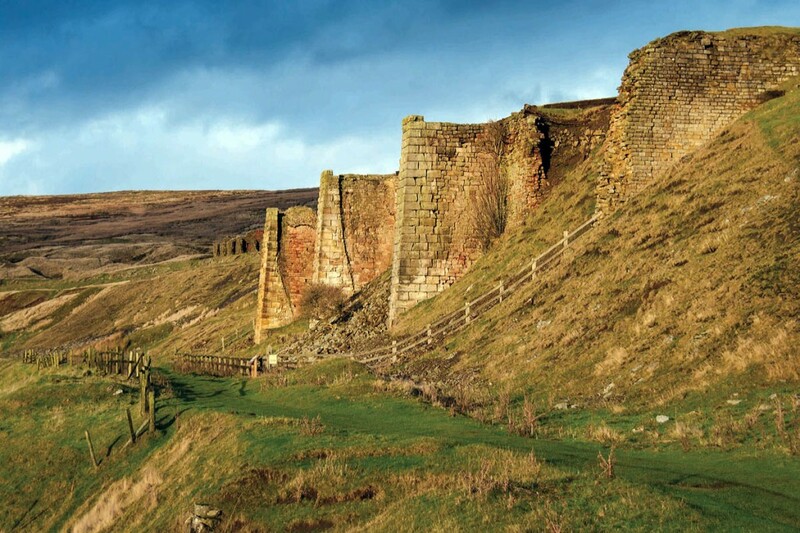 The grant will ensure the conservation and interpretation of features relating to the 19th century industrial expansion along the remote valleys of the North York Moors. The project has three interlinked components: archaeology and built heritage, the natural environment and interpretation, education and engagement. There will be 46 individual projects carried out from 2016 to 2021 across the landscape area, ranging from the conservation of the structures, such as ironstone kilns in Rosedale and mines in Kildale, reconnecting habitats and restoring ancient woodlands, removal of fish barriers along the River Esk, to working with schools to encourage children to connect with and learn more about the landscape. The TEL project area covers a sweeping arc from Goathland to Grosmont, then westwards along the Esk Valley to Kildale, finally crossing the moors south eastwards to reach Rosedale. A patchwork of habitats occurs across the area, from ancient semi-natural woodland and upland hay meadows to riverbank habitats along the River Esk and its adjoining streams. Ring ouzels, ‘mountain blackbirds’, are an example of how the former industrial heritage has shaped the landscape for wildlife today. These birds are associated with the belt of land on the moorland edge around the disused railway and kilns in Rosedale. The species is a national conservation priority so by preserving this historic landscape and bolstering the habitat by providing more berry-bearing shrubs, the ring ouzel population will increase, helping to halt national long-term declines. Match-funding from the North York Moors National Park Authority, the David Ross Foundation and other partners takes the total budget for the project to £3.5m. Geoff Taylor vice-chair of the TEL executive group, said: ‘The success of our bid brings to fruition a truly co-operative endeavour by groups across and around the North York Moors.